Over the past year, the Mythoard tabletop RPG subscription box service has included one of the special system-agnostic Adventure Hook Cards that I created for them in each month's delivery. Upon request, I have just written up another batch of cards continuing the series for the next year. The new cards are done, and being prepped to go to press! 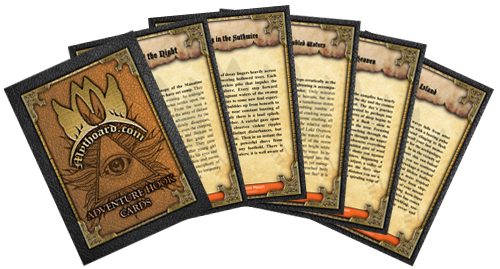 Be sure to check out Mythoard the only place you get these limited edition cards (and tons of other amazing tabletop RPG content), and start building your adventure hook deck today!